Work alongside world-class scientists and get up close and personal with humpback whales in one of the most breathtakingly beautiful places on Earth. Welcome to the Great Barrier Reef Whale and Dolphin Research Programme, led by Blue Planet Marine in collaboration with the Cetacean Ecology and Acoustics Laboratory (CEAL) at The University of Queensland, Australia. We're excited about you joining us as a Research Assistant on this important, challenging and valuable research. The work you'll be doing and the data you'll be collecting on east Australian humpback whales has been identified by the International Whaling Commission as highest priority research for this population of whales. This season, we’re hoping to add to the Programme an exciting collaboration with researchers from SOPOPP at Griffith University, Australia. We’re aiming to use genetic data collected from east Australian humpback whales to investigate the variability of the Antarctic sea-ice ecosystem related to climate driven environmental change. This was perhaps the coolest of our encounters (so far!) with humpback whales on the Great Barrier Reef during our 2018 research programme. Amazing what you can do with a GoPro camera! Some humpback whale populations are doing great, others not so much. Blue Planet Marine is a leading environmental research and consulting organisation providing expert scientific service in the Australian, New Zealand, Asian, South Pacific and Antarctic marine environments. Founded in 2002, Blue Planet Marine specialises in marine megafauna (whales, dolphins, dugongs, seals, sea lions and turtles) research and monitoring activities. CEAL was formed in 2005 and is based at The University of Queensland. A multi-disciplinary lab, CEAL has expertise in whale behaviour, biological acoustics, animal communication and social learning, population ecology, and physiology. Our primary study site is in the Whitsunday Island/Mackay/Swains Reef region, out to the outer reefs of the Great Barrier Reef (off the Central Queensland coast of Australia) and within the Great Barrier Reef Marine Park. These waters are sheltered from open ocean swells by the Great Barrier Reef. There are a number of spectacular anchorages within the region, which we will use during each research trip. RV Escape, a 24-metre research vessel, will be your home and work platform for the duration of the Programme. The support vessels (RV Koopa and RV Coda) will be working from Escape on a daily basis. 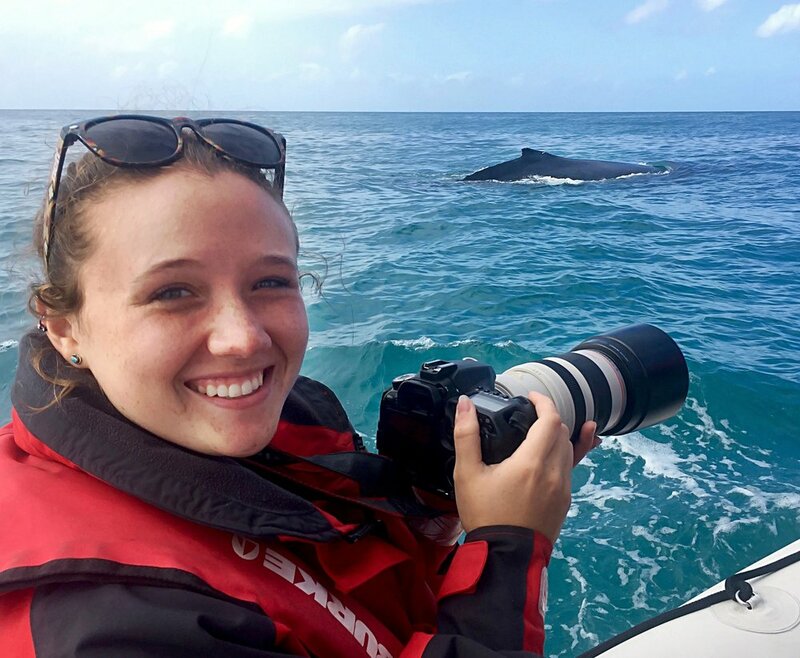 Research Assistants will be actively involved in all aspects of research activities, including: whale fluke photo identification; video recordings; collection of genetic samples; recording behavioural observations; and recording whale song and social sounds. You will also assist with vessel operations, including all day-to-day activities such as cooking, cleaning and vessel maintenance. At the end of your time with us you will be presented with a participation certificate and a detailed description of your research activities with us. Investigate Antarctic sea-ice ecosystem variability related to climate driven environmental change via samples collected from east Australian humpback whales. To do this we will use a variety of proven scientific techniques, including: photo-identification; acoustic recording of whale sounds and underwater noise; genetic sampling; and recording of whale behaviour using visual observations and digital methods. The Programme will be run from 14 July to 20 September 2019. This time is divided into ten research trips. You will spend six days and nights on the research vessel. Each research trip will include the full range of planned research activities. There are only 10 places for Research Assistants on each trip. Each trip starts and ends at Airlie Beach, Queensland.